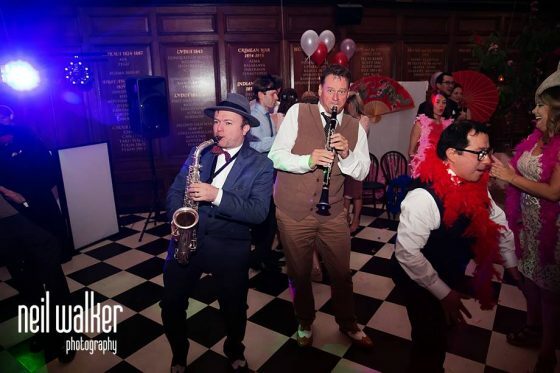 We had the recent pleasure of performing at the wonderful 1920s themed wedding of Marie-Louise and Nicholas. The wedding was held back in the throws of summer on the 30th July. And what a day it was. The bride looked magnificent, the groom was charming and the guests were ready to party 1920s style! 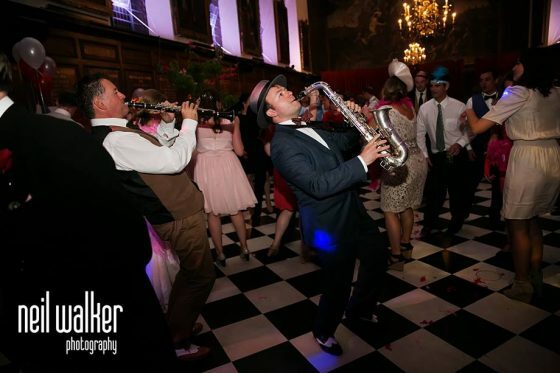 Once the ceremony and wedding breakfast had taken place, the Jazz Spivs took to the stage to perform an off the cuff special Jeeves and Wooster theme song for the bride and groom to dance floor. From that point on the party had started, so the Spivs continued with a set of 1920s songs. With a stunningly vintage feel, the ambience of the venue suited the music perfectly, meaning the guests were quick to take to the opulent black and white dance floor. 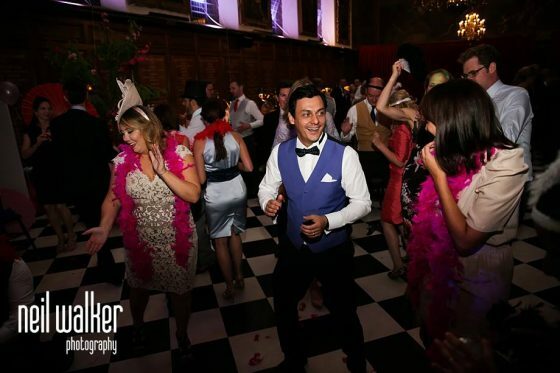 Alternating sets with the ever-talented DJ Lenny, the combination of up tempo 1920s music and party classic songs kept the wedding celebrations going through to the early hours. Even the Spivs themselves took to the dance floor to celebrate with guests. The other suppliers on the day, including Neil Walker Photography, were a pleasure to work with and the results speak for themselves. Take a look at the full 1920s themed wedding album here. 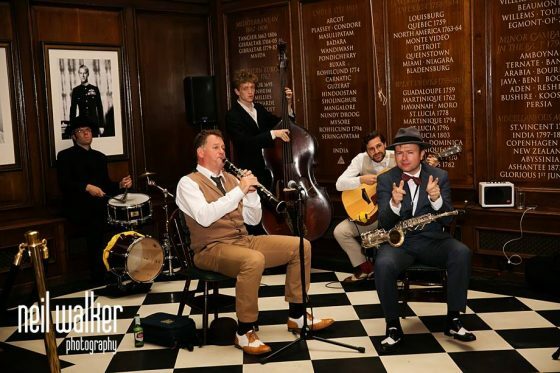 If you’re a wedding planner, or perhaps a bride or groom to be, get in touch today to book the Jazz Spivs for your wedding day. Let us bring the fresh, free and stylish flavour of the prohibition era to your wedding.